Lufthansa is ready to upgrade their aging aircraft of A340s, B747s (and surprisingly the not so aging A380) with a fresh order of 40 new aircraft from Airbus between 2022 and 2027. That’s right, the aging rockstar of the European skies is getting a makeover to a more youthful image thanks to a fresh batch of planes. So how does the order stack up? 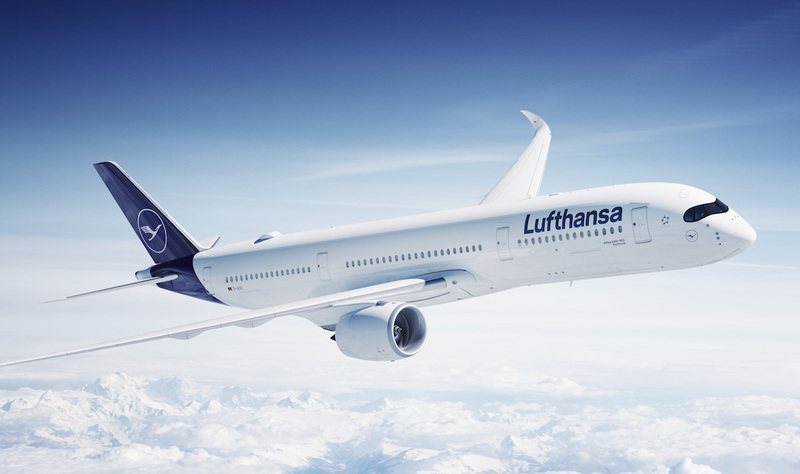 The reasoning behind such a sweeping change is that the Lufthansa Group have identified a need to invest in more fuel efficient aircraft going forward as part of their commitment to sustainability. It is a pity that the A380 has come under this as their version of the aircraft in my opinion is one of the best in the skies. Thankfully not all of their A380 aircraft are being sold on (in fact it less than half of their total A380 fleet). In addition having visited the Boeing factory last year I am surprised about the B747 announcement considering that Boeing has further orders for the aircraft from Lufthansa at the time (October 2018). I’ll be curious to see how the fleet evolves for Lufthansa but will hold my breath on this one as the airline has had some mixed results in the past when it comes to new fleet rollouts. Now here is an announcement or more ‘enhancement’ that I can get behind. Qantas this week announced that domestic passengers will soon be able to board flights with heavier carry-on bags after responding to pressure from passengers over its ‘limiting’ 7 kg allowance. Commencing March 25, travellers will be allowed to carry on one item weighing as much as 10 kgs and a second piece up to 4 kgs, bringing the total cabin allowance to 14 kgs per person. In addition passengers are allowed to bring one small personal item bag (ie. handbag or laptop bag). This is quite generous and shows for once an airline actually listening to what people want rather than telling people what they should have. That said any cabin baggage weighing greater than 10 kg will still need to be checked in. Well done Qantas. This is one move that I hope other airlines won’t be weighed down in making a reactionary decision and following. Qatar Airways for a while had teased the world with its plans to introduce a new economy class seat and having seen their revolutionary business class product, I was hopeful they would also be revolutionary in the economy product. Qatar have a habit of overhyping their launches (ie. their latest video/ film) and sometimes fails to deliver on the hype. This week the airline did it again with their new economy seat and whilst it’s a dramatic improvement to their current seat, it’s more enhancement than revolution. The biggest takeaway is obviously the widescreen TV and an innovative 19-degree recline system, meaning the seat will not recline by re-positioning the back of the seat and in turn impacting the space of the person behind you. Again these will improve the comfort of the passenger but overall not make a major difference to their journey. One thing that has impressed me however is nothing to do with the seat but the new ‘QCuisine’ for economy passengers which will feature new menu items and greater choices, including larger main courses and desserts. Perfect for the one like myself who is always left peckish from the small airline servings on the plane. Innovation or simple enhancement? Keen to hear your thoughts on the new Qatar economy seat. For an Airbus and moreover A380 geek like myself, the superjumbo is and remains my favourite aircraft to fly. I purposely go out of my way to book an airline offering the A380 over another aircraft type due to the space, comfort and experience. If B747 was the queen, A380 was certainly the princess. On Valentine’s Day Emirates and Airbus decided to kill my aviation love affair with the airliner by announcing that it would cease production of the aircraft from 2021. Emirates has scaled back its order of the aircraft, instead option for additional 30 A350s and 40 A330neos as part of a 70 aircraft deal. The airline expressed their disappointment at the change of heart but remained committed to the A380 stating that the aircraft would be a pillar of their fleet well in the 2030s. Debuting in 2005, the A380 was meant to be a competitive rival to B747 but the landscape changed quickly due to improvements in two engine aircraft like the A350. The aircraft despite being popular with the travelling public sadly wasn’t so popular within the aviation industry. Airbus will produce 17 more of the planes including 14 for Emirates and three for Japan’s ANA. Despite being saddened by this development (I feel compelled to make that Airbus factory visit in Toulouse I’ve bene holding off happen much sooner than expected), I’m heartened that Emirates will continue to fly this aircraft well into the 2030s and as such I’ll continue to fly Emirates based on this very aircraft! How do you feel about the A380 cancellation? Are you feeling this is the last gasp in terms of excitement when it comes to flying? Qatar has a habit of annoying me lately. One moment it’s complete genius, the next aviation’s class clown. Admittedly a lot of it comes down to its CEO Al Baker and his often weird trails of thought. The man only in December was making noise around wanting to pull out of Oneworld, a partnership that has given the airline more coverage than it could imagine alone. Now in another blow to Airbus the man has decided that Qatar will start retiring their A380s once they hit the 10 year mark. Qatar Airways has a total of 10 Airbus A380s in their fleet which they use on legs to Bangkok, Frankfurt, Guangzhou, Perth, London, Melbourne, Paris and Sydney. Having one of the youngest A380 fleets globally (they took delivery of the A380s between 2014 and 2018), a retirement of the A380 isn’t imminent with the first aircraft to be retired in 2024. The airline plans to replace the A380 fleet with the 777X. They currently have 60 of them on order. A move to the 777 will certainly see the end of their First Class as well as potentially their onboard bar, both of which are currently offered on the A380. There’s the potential for this to change but again, a watch and see. I’m hoping there will be a change of heart at Qatar and that the superjumbo will have more years of flying to come under Qatar. Are you disappointed by Qatar’s A380 retirement plans? Will you continue to fly them post their A380 switch? Etihad Airways really is starting to become a shadow of its former, glamorous self. The airline when it took to the skies was full of promise and was in fact ground breaking at one point. Lately Etihad announcements are something I dread as they have been the last two years about news of removing or cancelling product and/or aircraft. Today’s disappointing announcement from Etihad is the removal of one of their popular A380 services to Sydney, which will be replaced by a Boeing 777-300ER on an ongoing basis from July 2019. Previously Etihad announced that flight EY451 and the EY450 return leg would revert from the current short-term Boeing 777 and back to to its flagship Airbus A380 in May.. Ssdly Etihad has had a rethink of this and decided to keep the change permanently. The downgrade in aircraft means those set to fly the A380 will need to review their booking, especially those in business as the B777 possesses the last generation business class seat as well as lacks the pizzazz of a onboard bar area. Those in first will also be affected with the 777s first suites no match for the spaciousness of the A380s. Moreover those seeking a shower best wait til they land because the inflight shower is not on the B777 aircraft. Coincidentally the announcement and date of it removal aligns with Etihad’s launch of the A380 between Abu Dhabi and Seoul. Personally if you are flying a premium class I would make the switch. B777s are a horrid aircraft; noisy, lacking space and generally disappointing. Will you be switching aircraft if your booking has landed on the new B777 aircraft? Kene to hear your thoughts. Fancy a double status promotion?! I certainly do and it looks like the first of the big Australian airlines has taken fire in the first round of DSC promos for 2019. Today Virgin cheekily released a teaser on their social page with the statement “In two days, we’re going to help you soar twice as fast. Watch this space (and your inbox!)”. These promotions are a great way for those who are always falling shy of the next tier to get over the line. It’s anticipated that Qantas will soon be releasing the first of their double status credit promotions in February/ March but it looks like Virgin has beaten them to the punch. Well played Virgin, well played! Will you be taking advantage of the Velocity DSC promotion? Keen to hear your thoughts.